William Shatner spoke to an advertising group at the Statler Hilton about "Star Trek," but also about Loblaw’s — the grocery chain for which he was TV spokesman through the 1970s. "Capt. 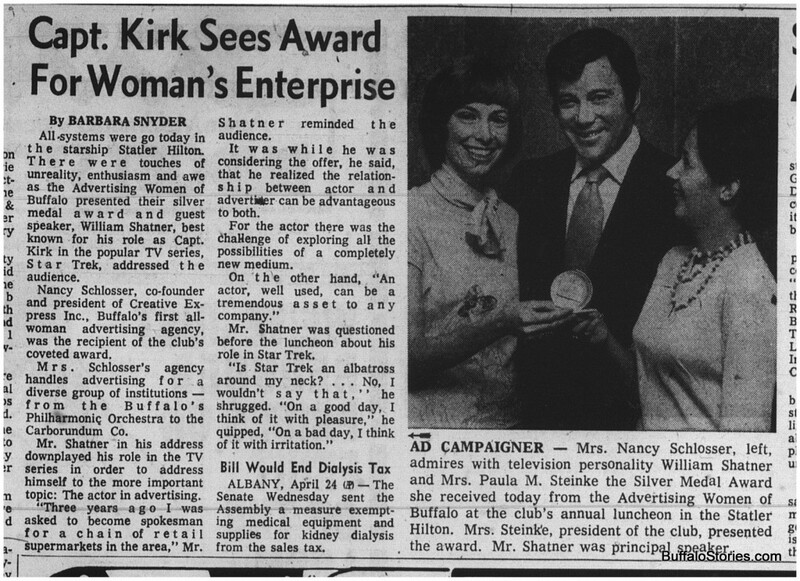 Kirk sees award for women’s enterprise"
"All systems were go today in the starship Statler Hilton."